My favorite day of the year is upon us…a day that I am surprised is not more important and more celebrated by Christians everywhere. 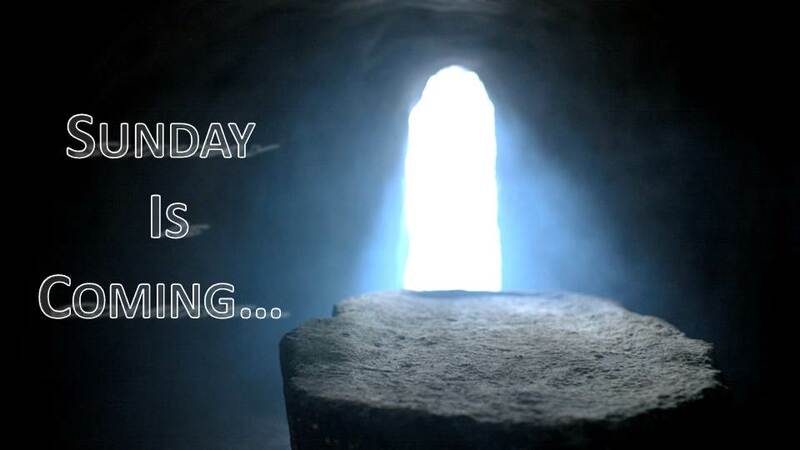 Sure, we go to a service…but are we really celebrating what has occurred in the tomb? Is going to a service and going to a family member’s house for dinner really what Easter is about…or is there something more. Having a son…I am trying to think on ways that he can understand the importance of Easter. I want to impress upon him the importance of the day that changed the course of history and determines the future of all creation. Many in the church really like to focus on Friday…and for sure, that needs to be a focus. But…for the past several years…I have found Good Friday a day of mourning…not a day of celebration. Many Christians I speak to about this are curious as to why I would find the day we were given clemency a day of mourning. My answer is simple but personal. Because I put Him there. Each of us who has a relationship with Christ…each of us that are covered by Him, and sealed by His Spirit. We might as well have been one of the Roman soldiers pounding the nails into His hands and feet and shoving the crown of thorns on His head. We might as well have been the fickle crowd that just earlier that week were heralding Him the Messiah as they ushered Him into Jerusalem. Our sins…my sins placed Christ on that cross…the man, the God, the King that I have devoted the entirety of life to serving. Do not mistaken my mourning for being ungrateful, in fact, it is because I am thankful I mourn. Christ paid my penalty…the penalty of my wife…and hopefully the penalty of my son. He has made my relationship with the God of Heaven possible and for that I am always thankful…but that does not mean I do not mourn that it was necessary. It does not mean that I do not grieve His suffering on my behalf. But with Friday…comes Sunday. Now I’ve heard many pastors say something like, “the resurrection of Christ shows that the check has cleared,” or something to that effect. Every time I hear this, I cannot help but shake my head and face palm until I give myself a massive migraine. I have this reaction because the resurrection (in their theology) has been boiled down to something, so insignificant in comparison to the truth…that I grieve for anyone believing it. The resurrection is more than affirmation of God’s approval (His approval is a foregone conclusion …it was His plan after all). It is the beginning of redemption, the recreation of all things to be as God intended them to be. Christ is called the “firstborn from among the dead,” (Col. 1:18) by Paul. In this…Christ, himself becomes the new Adam and replaces him as the very first being of redeemed creation. It is an amazing statement, an amazing work that has been done for us. In the person of Jesus, we see our future… our eternal state…and in so doing acquire hope beyond anything any of us thought possible. In Jesus, we see a glimmer of what is to come and the wonder of God’s coming eternal kingdom. In Him is the promise of our salvation, resurrection, and glorification. In Him is the promise of adoption and the coming of the Holy Spirit to make a home within the Christian person. Through the tomb, we are empowered to live in kingdom in the here and now of our lives. This is what the resurrection is, a promise of all that is to come, and all that we currently have. It is assurance in the work of Christ on the cross, and in so being an affirmation of our call as sons and daughters of God Himself. For Paul and the apostles the resurrection of Christ was just as important if not more important than His death. The death of Christ means nothing if there is no resurrection from the dead, there is no future, no hope, and no grace. Let us keep this in mind then, not only when we celebrate His resurrection but also when we walk in our lives with Him. Let us remember and have hope in what has been given to us…a hope that does not fade or wane in any way. Peace and Blessing and Happy Easter!